When only one of the 22 students raised her hand, I was not surprised. 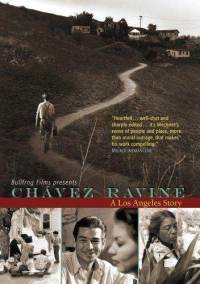 It is the rare student who begins college having learned the history of Mexican Americans in schools. This time, the question was how many knew about Mendez v. Westminster—a 1947 case that resulted in the elimination of de jure segregation for Mexican students and was influential in the Brown v. Board of Education decision. I probably would have received a similar reply had I asked about the Lemon Grove Incident of 1931 where the activism of Mexican immigrant parents resulted in the first successful desegregation case. Typically, a few more students know about the 1968 Chicana/o School Blowouts, but these overall patterns of historical exclusion are deep and their ramifications are real. Not only are many students denied access to crucial history, but also the myths about education, meritocracy, and equality are kept intact. By not providing students with the tools to understand the historical continuities and changes in schools, we may be reinforcing beliefs that so-called student failure is rooted in individual students, families, and teachers — not in a legacy of structural and educational injustice. As I hear students’ anger about not learning this history until college, I also think about the millions of students who are not able to attend college and may never learn this history. 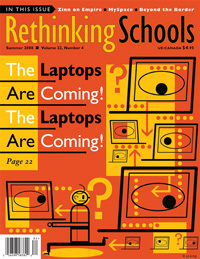 This lesson was published by Rethinking Schools in an edition of Rethinking Schools magazine, “The Laptops Are Coming! The Laptops Are Coming!” (Summer 2008). 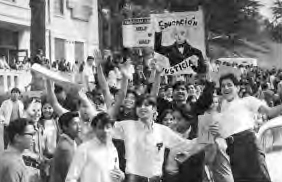 For more articles and lessons like “Pump Up the Blowouts: Reflections on the 40th Anniversary of the Chicano/a School Blowouts,” order Rethinking Schools magazine, “The Laptops Are Coming!” See Table of Contents. 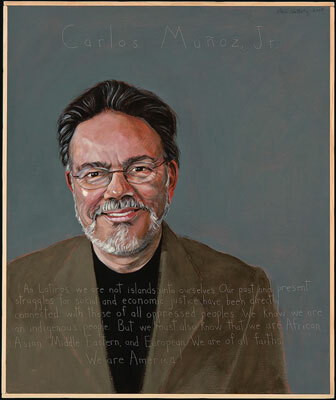 Carlos Muñoz, Jr. (Painting and bio by Robert Shetterly from Americans Who Tell the Truth.) 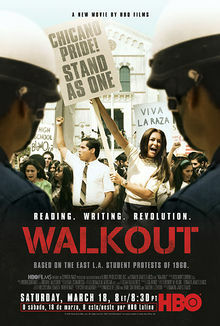 Carlos Muñoz, Jr. was one of 13 civil rights activists who were indicted for “conspiracy” for their role in the organizing of non-violent student protest against racial/ethnic educational inequality in the barrio schools of East Los Angeles in 1968. They each faced 66 years in prison. It took two years for the high courts of California to decide they were innocent by virtue of the First Amendment to the U.S. Constitution; freedom of speech. He is Professor Emeritus in the Department of Ethnic Studies, at the University of California, Berkeley and author of Youth, Identity, Power: The Chicano Movement (1989, revised 2007). Muñoz played a prominent leadership role as one of the founders of the Chicano Civil Rights Movement. Read more.